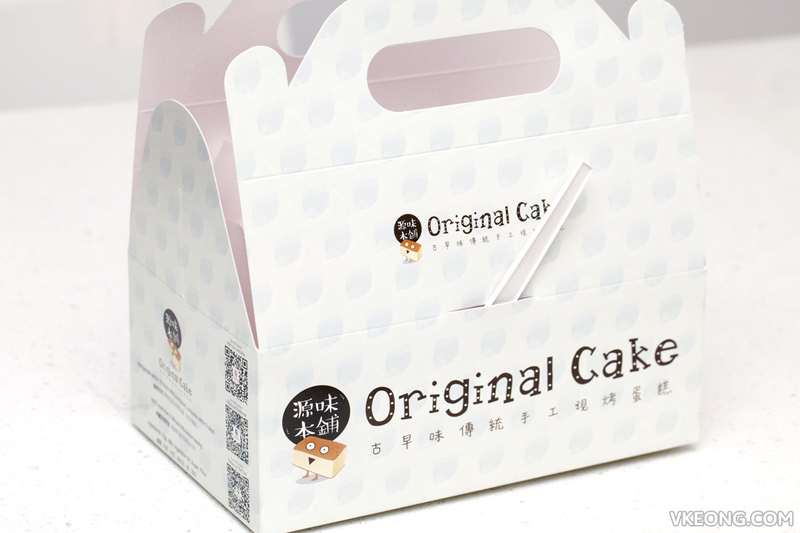 For the last 6 months, Original Cake had been a phenomenon that gripped KL and people were willing to queue hours for it. Now, the fever has reached Penang after they opened their third and fourth outlet at Gurney Plaza and Queensbay Mall. 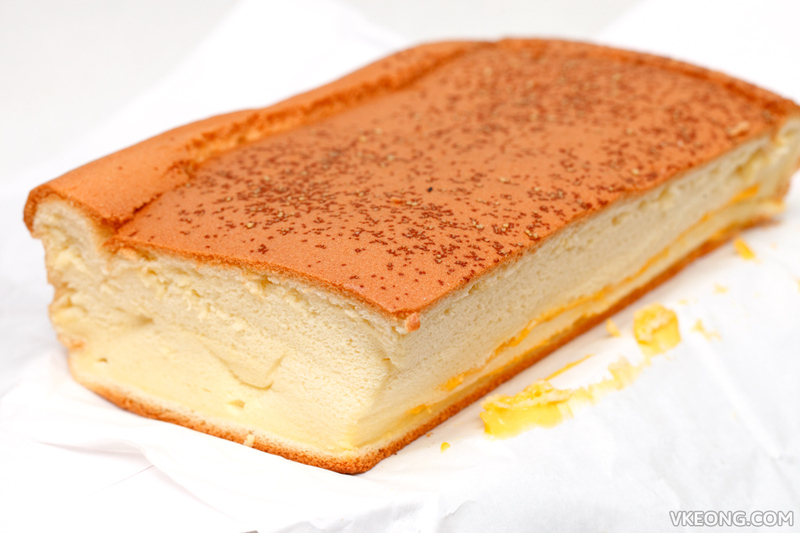 Although I was curious about the cake, I never intended to try it because many have told me that it tastes just like a normal egg-based sponge cake. The last time I went to Sunway Pyramid was to have brunch at Sandwich Express. That day, we observed that the queue for Original Cake stretched all the way from the shop to the nearest escalator. After we were done eating, the queue got longer and even doubled into two lanes. Crazy huh. But this was the sight of the shop last night and there was no queue. 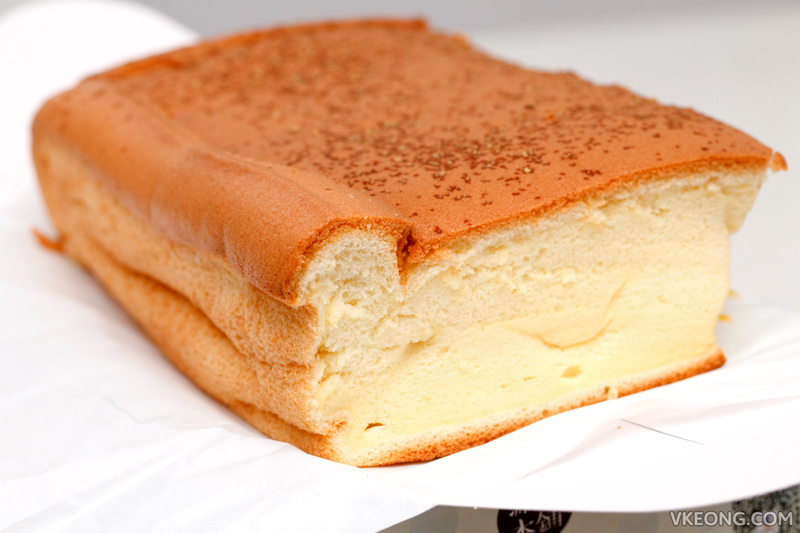 So we decided to take the plunge and bought a box of the original cheese flavored cake @ RM20 (normal price RM23). We got our cake in less than 3 minutes! FYI chocolate flavor is also available, but in limited quantity daily. By the way, this is one of the ways Original Cake attracts customers. 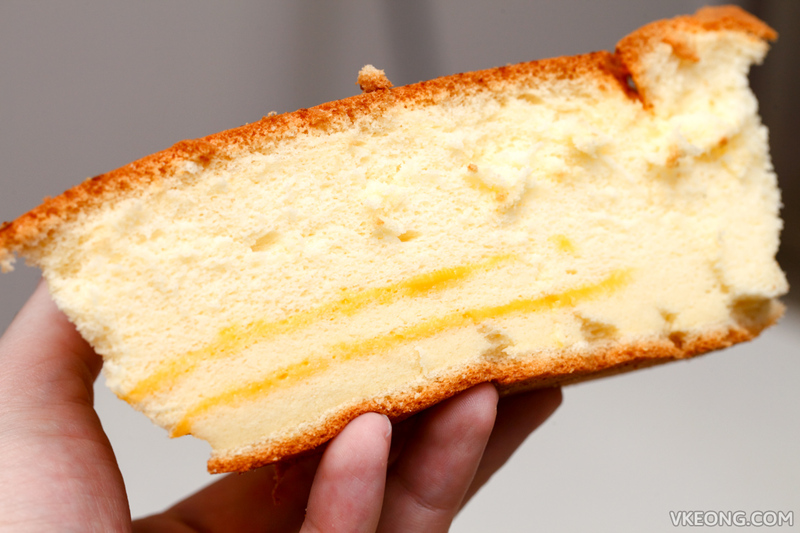 The staff actually flips the cake in mid air then slice it up into square pieces using a ruler. The moment you open the box you are met with a strong whiff of butter aroma and the smell is promising. As you can see, the standard portion is more like a slab. Even if you slice it up to 4 pieces, it’s still a pretty big slice for RM5 so I guess the price is alright. Taste wise I will parrot what others have been saying – it is more or less like a sponge cake, albeit more dense with a thicker crust. The cheese flavor is very mild and not very noticeable unless you bite into the part where the melted cheese lies. Overall, I wouldn’t say this Original Cake is overrated nor it’s great. It’s still worth trying for the sake of crossing it off your list – only if you do not need to queue for it. 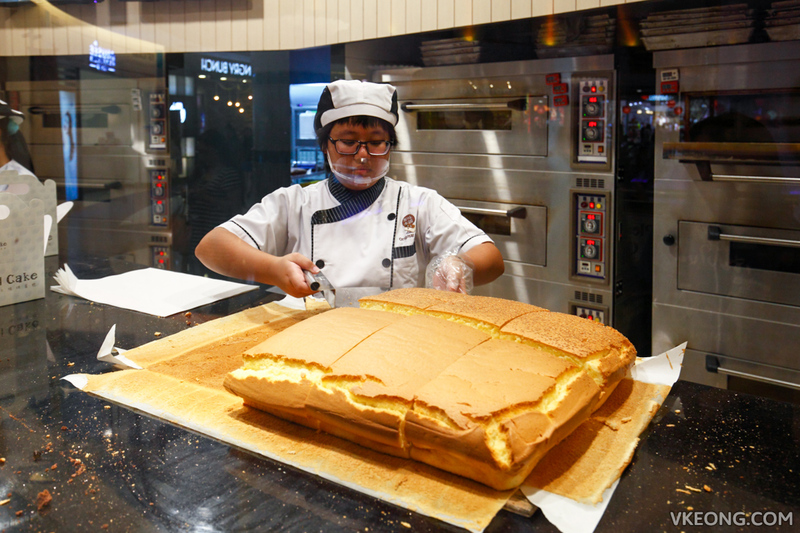 The post Taiwan Original Cake @ Sunway Pyramid appeared first on Malaysia Food & Travel Blog.